Recent advances in the study of growth regulation at the cellular and molecular level have made it clear that “growth” of a tissue is the result of a tightly monitored and regulated balance between the processes of mitosis and apoptosis. Prior to this, studies of cell growth regulation in the ovarian follicle, as in other systems, emphasized the regulation of mitosis. Now, however, with the realization that apotosis is the fundamental cellular mechanism underlying the process of follicular atresia (1, 2), it is readily apparent that in order to understand the process of follicle selection we need to understand more about the regulation of both apoptosis and mitosis. 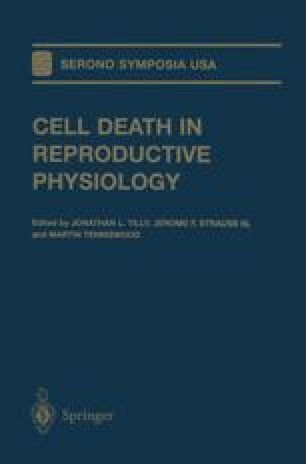 In this chapter, studies will be reviewed that address both issues in the context of ovarian follicular growth. The focus will be to review the information relevant to the premise that regulatory hormones and growth factors act more effectively in combination to stimulate mitosis and to attenuate apoptosis.